Top MORPG Game profile for Murder Mafia in Sports games! 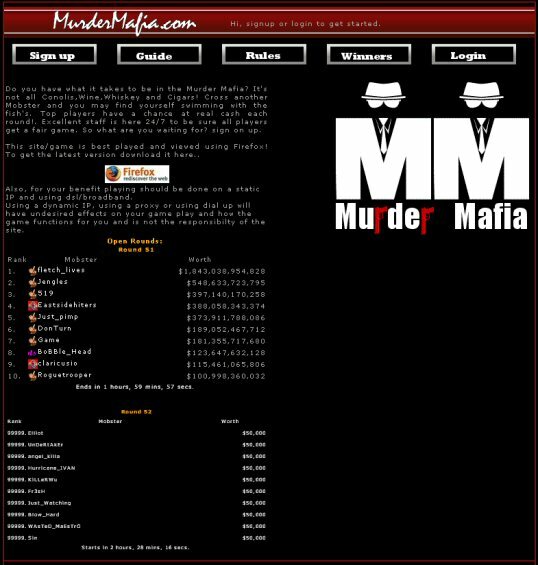 One of the most trusted mafia sites you will find on the web. Big cash jackpots and original in game features set this game apart from the others!